Experience for a change the traditional life in the Northern Sumatra. This place is called the Lingga Village with an indigenous Karo Batak culture 1200 meters above sea level. It is relatively near to Berastagi and only 15 miles away that makes the discovery of the traditional Karo life simply steps away. 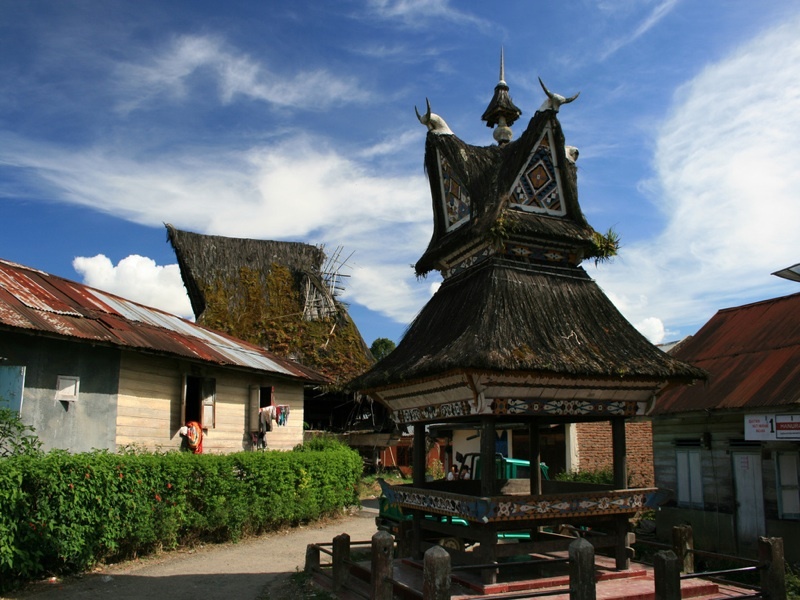 You know what Batak houses are, they are none other than the horned roofs houses where the local lived in. Regular oplets or minibuses from Kabanjahe are available to transport from place to place within the provinces. These are operating from 5:30am until 8pm at oplet terminal. 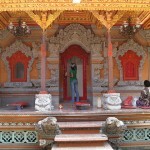 The traditional buildings you can find in Lingga village are Jambur, dimples, custom homes, geriten, sapo page and last but not least, museum karo. Normally about 9 to 10 families inhabited in one of these houses that are build on stilts and supported by 16 pieces of wood in large pieces, built at about 2 feet from the ground. 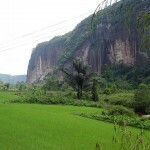 Since you are already in Berastagi, you must also check out the Sinabung mountains. 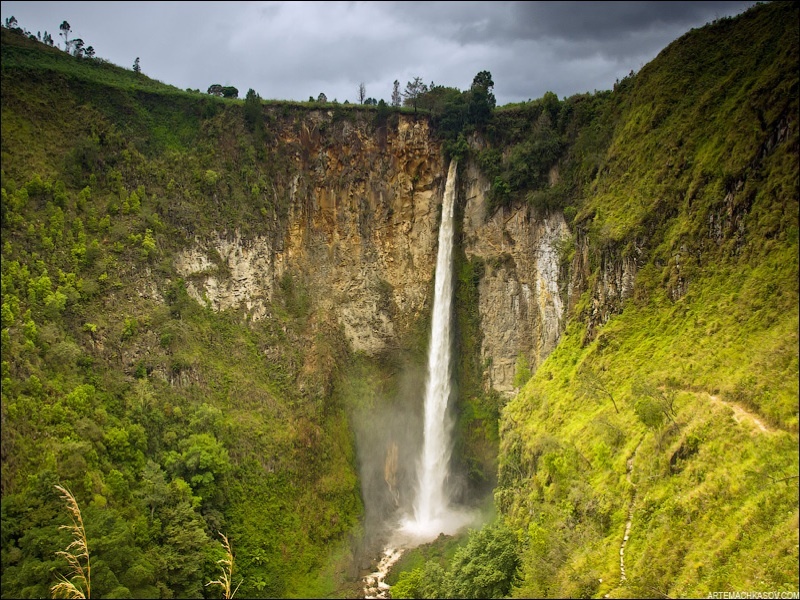 This place is famous for the Sipiso-piso Falls, you must also have a climb at the Sibayak mountains, have a swim in the Lake Toba Tongging and take some photographs of the traditional Karonese houses which we have just mentioned. The plunge waterfall of this Batak highlands was rather formed by a small underground river. It is the highest waterfall in Indonesia. Many people are also encouraged to check out the vantage point to see the great vistas of the lake as well as the water fall. So if you go to the tip of the Lake Toba caldera or cauldron-like volcanic feature in the Tanah Karo regency, you will also find a fishing village called tongging that is ideal for an eco tourism experience. Besides swimming and public bathing in the ‘Tongging Beach’ right after the junction of Sibolangit. Alternatively, if you like river bathing, you can try the Sungai Sidoppak that has its clear and clean waters from the mountain forest that flows through Wisma Sibayak grounds. The ‘Friday Markets’ are quite a special sight with these liveliness unseen in other days of the week. This market are formed by boats from Haranggaol, Bage and Silalahi, at times they ferry passengers too. At Gunung Sipiso-piso, you can try paragliding if you are the adventurous type. 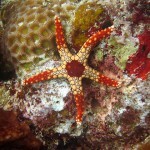 Otherwise, trekking and kayaking are the other outdoor activities which you can add to your itinerary.